Yalitza Aparicio and Marina De Tavira hold hands while walking the carpet at the 2019 Golden Globe Awards on Sunday (January 6) at the Beverly Hilton Hotel in Beverly Hills, Calif. The ladies were at the show to support their film Roma, which won the award for Best Foreign Language Film. 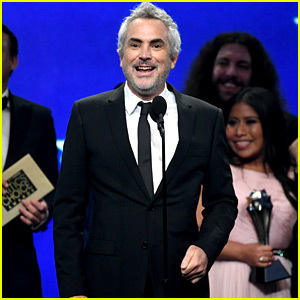 Roma writer and director Alfonso Cuaron is also up for Best Screenplay and Best Director. FYI: Yalitza is wearing a Miu Miu dress, hairband, clutch, and earrings, Brian Atwood shoes, and Irene Neuwirth rings. Marina is wearing a Vivienne Westwood dress, Christian Louboutin shoes, an Edie Parker clutch, and Irene Neuwirth jewelry. 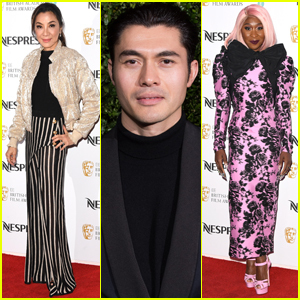 Roma's Yalitza Aparicio & Marina de Tavira Glam Up for Spirit Awards 2019! 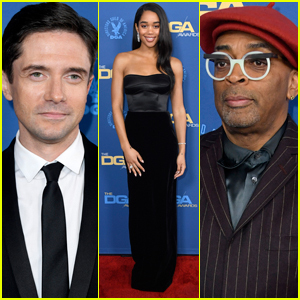 Yalitza Aparicio, Florence Pugh, & Jharrel Jerome Are Celebrated at Teen Vogue Young Hollywood Party! Angelina Jolie Attends 'Roma' Screening with the Film's Co-Stars! 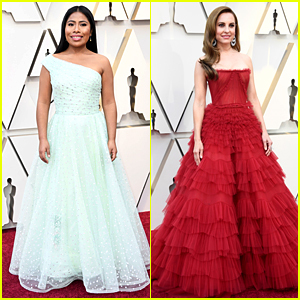 Roma's Yalitza Aparicio & Marina De Tavira Glam Up for AFI Awards 2019!